“Experiential Marketing” in the RV Industry … How To Put It On Steroids! Kudos to the RV Industry for its extensive “Experiential Marketing” campaign which is now in full swing. Bravo! Dealers: Watch for an exciting “experiential” event … coming soon … to a location near you! We all know that Experiential Marketing “stakes out” events where people we SUSPECT just MIGHT BE INTERESTED in buying an RV SOMEDAY can touch, feel and experience RVs, today. The theory is that Experiential Marketing “opens prospects’ eyes to the features & benefits of RVs … in the context of an actual event.” And, the hope is that these efforts will bring more (and younger) buyers into RV’ing. It’s a valiant, big-picture tactic for sure because yes, in order to grow the Industry, we need the public-at-large to see our product. And so, we all perceive it as a good thing if we can get family after family of “maybe somedays” to see, touch, tour and smell RVs in hopes that … one day … maybe … you know … they just might buy one. But hey, no pressure. “I don’t like it,” he confided. Events obviously happen at locations – in geographic regions. And, one thing we know for sure is that every region always has a revolving audience of in-market RV consumer buyers. Actively researching their (next) RV purchase. This raises some major league questions for dealers, for OEM’s and for industry marketing bodies. Can we effectively “get at” the in-market buyers in a specific region? If we can “get at” them, can we communicate with them? Can we get messages to buyers? Can we invite buyers to come out to an experiential (or other type of) event? Would they actually come out? What kind of “carrot” would bring out and incentivize the in-market buyer to attend? If actual buyers showed up at an Experiential Marketing event, what would that do to the excitement, the ambience, the demeanor of the event itself? Would it help John & Jane Q. Public’s perception of RVs if they were rubbing shoulders (in amongst the hoards of Lookie-Lous) with several real, live, end-of-the-sales-funnel buyers? Would dealers get more excited about Experiential Marketing if they knew that a bunch of local, in-market buyers were specifically invited to come out? 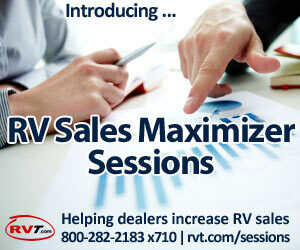 For other events, such as traditional RV Shows, the goal is to present and SELL RV’s. A strong business case can be made that we should reach out and communicate ALL of our events to active, hard-shopping buyers and encourage them to attend. 1. Obviously, you can use Google Adwords and the Display Network to target people who have RV in their Google profiles as an Interest or a Topic. You might be better off to go with “1st person data” instead of Google’s “3rd party data.” Here’s what I mean … and while it might sound a little self-serving, if you’re truly after in-market buyers, where do they shop? Online. 2. 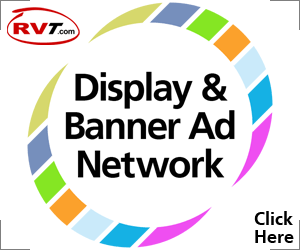 15 to 30 days before your event, place Display Ads where RV buyers actively shop. It’s logical. 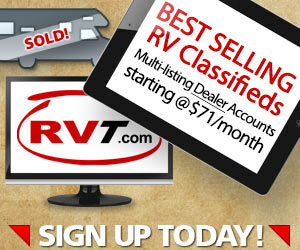 Buyers from every region in N. America do millions of searches on RVT as they research their next RV purchase. Why would you NOT show ads that invite buyers to your event, sprinkled throughout these RV searches? 3. Re-target RVT’s buyer audience. Your Event’s ads “follow” individual buyers wherever they go online. You “cap” the number of advertising impressions you want to serve to each individual buyer. You set the timelines i.e. 15 to 30 days before your event. For virtually EVERY event – whether it’s an official Experiential Marketing event or an RV Show, whether you’re doing a display of RVs at a local Shopping Mall or holding an RV “Show-&-Tell” at a KOA near you – you want buyers, “ready, willing and able” buyers. It’s what we need to put Experiential Marketing (and other) events … on steroids!